Enjoy the exotic batik fabrics of the East. 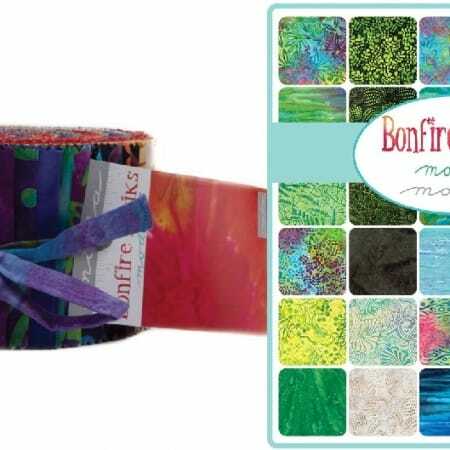 Batiks are hand-dyed fabric colored by soaking the cloth, removing a layer of wax, and repeating with multiple colors. 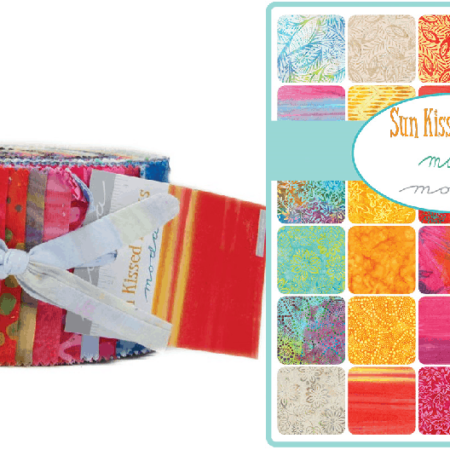 A Bali Pop is another name for a collection of 2 1/2″ x 45″ strips of fabric. They are cut the width of the fabric (WOF), from selvage to selvage. 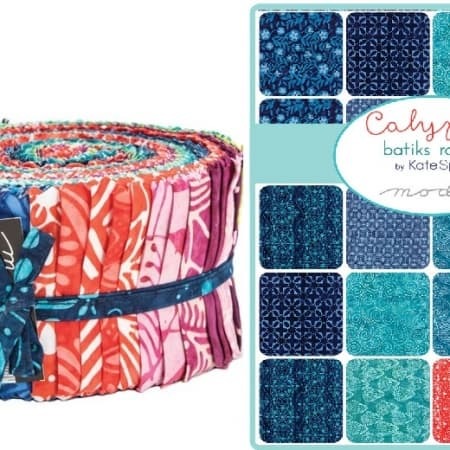 Always read descriptions as different manufacturers will have a different number of strips in their collection whether they are rolled into a Moda Jelly Roll or packaged in any other way. 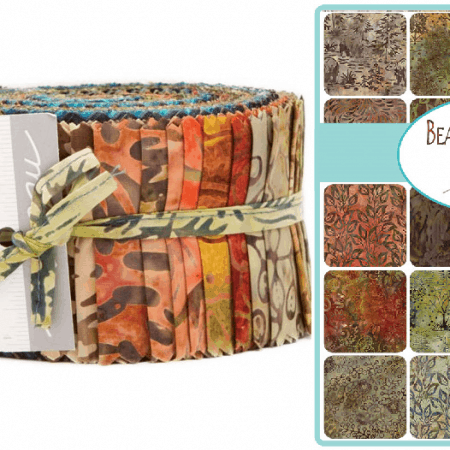 If you have not explored the realm of strip quilting yet, you are in for many fantastic surprises! 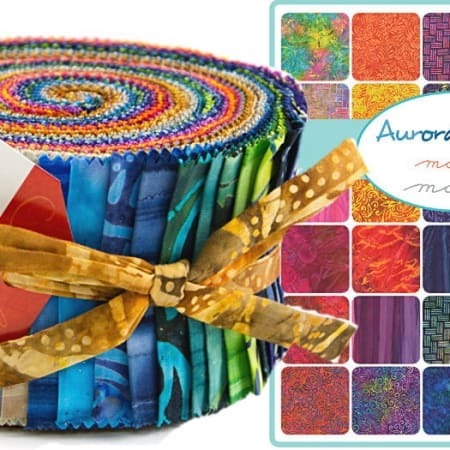 There are hundreds, if not thousands of patterns for strip quilting, many of which are free patterns you can download from the internet.